At first I was thinking this might be an easier book to read than either The Burgher’s Daughter (about a white woman joining the anti-apartheid movement) or The Conservationist (about a white land-owner in rural apartheid South Africa). The writing style is somewhat clearer with a 15 year-old boy narrating, but it might very well not be easier in terms of theme and symbolism. 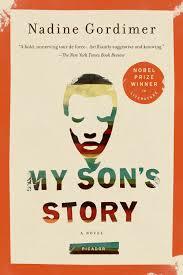 The title is very ambiguous because the main narrator, Will, is the son of a man named Sonny, but the story is basically about that father. I think the son wrote the story, inventing as necessary, and the father put the title on. So the title may refer to Will, Sonny’s child, the protagonist, but he could be telling of his heritage. I’d also like to think of the “My” in the title as being South Africa herself, apartheid Africa, black and white. This is also her heritage. 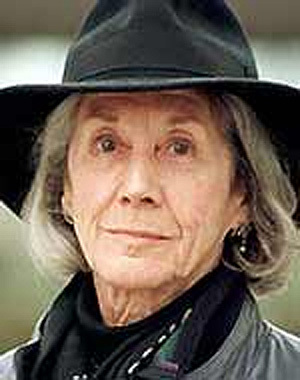 Gordimer is like that – she can be deliberately ambiguous, to the point of adding layers of meaning, and making the reader think it through. The Plot: Sonny is a black man, a school teacher in apartheid South Africa, highly intelligent, married to a Aila, a woman of “his kind,” and they have 2 teen-age children, Baby, the eldest and female, and Will, the eldest son and male. The family lives in a “grey area” (kind of mixed race due to encroaching white owners) and although Sonny really only takes his children where they are allowed and welcome, Sonny has wanted the things the white community has and to live and work in the nice places like they do. He becomes radicalized and then starts dating a white woman, Hannah. So what’s the meaning of the white woman? The story is about the consequences of this illicit romance found and pursued in the romance of revolution. It’s about how the whites took over the land and destroyed the black culture and essentially enslaved the people. The destruction went further – it destroyed the families. There’s a lot of Shakespeare here – Sonny is a fan and Will picks up on that. (The name Will is meaningful on several levels.) Will is going to be a writer so one theme is the writing process. Here Will is writing about his father’s memory of meeting the white woman, Hannah Plowman, defender of political prisoners – it’s indicative of the structure and the writing process.